Hi – would you mind filling out this 2 min survey for us? We’re working on a marketing research and strategy project to improve Mental Health & Addictions Services in the Quinte, Prince Edward County, Hastings County including Bancroft regions. 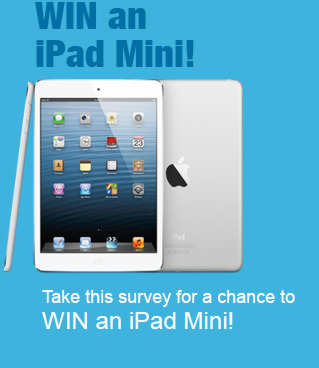 Psst you can win an iPad Mini! This entry was posted on Tuesday, January 22nd, 2013 at 6:05 pm by Laura Brasseur and is filed under Advertising, Branding, Communication, Marketing, Non-Profit, Online Marketing, Public Relations, Social Media. You can follow any comments to this entry through the RSS 2.0 feed. Both comments and pings are currently closed.